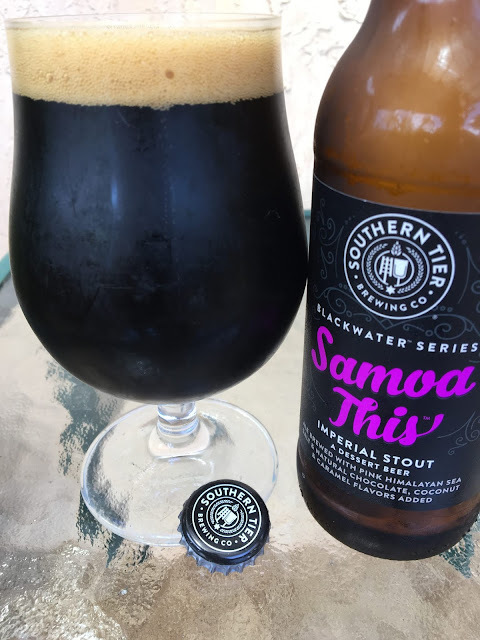 Southern Tier has created a new Blackwater Series beer designed on the famous Samoa Girl Scout Cookie. Samoa This Imperial Stout is a dessert beer brewed with Pink Himalayan sea salt, chocolate, caramel and coconut. One panel on the bottle sets your expectations, drool if you didn't open up the bottle. 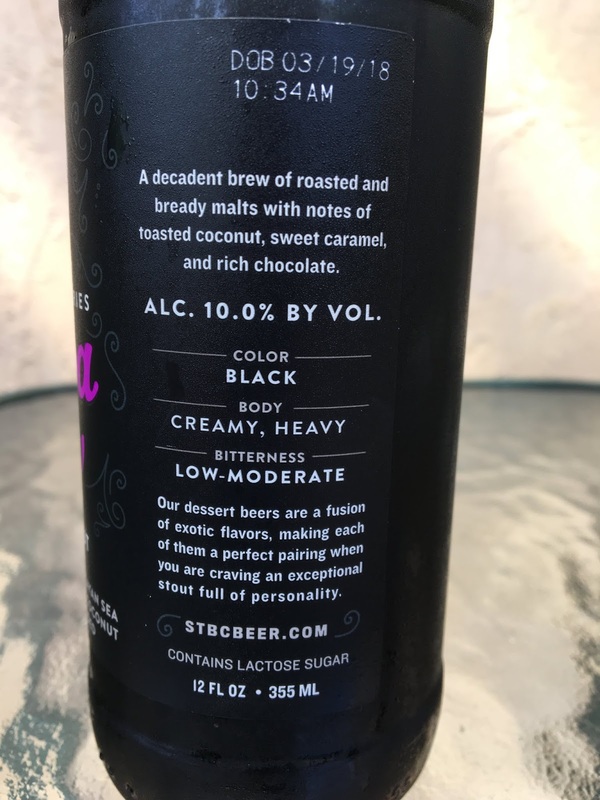 10.0% alcohol. Amazing aroma! This beer smells exactly like a Samoa cookie, full of sweet chocolate and caramel and plenty of coconut as well. Rich, complex flavors develop in every sip. Sweet but not overly so. Some salty aspects keep that in check. Super creamy as well. Chocolate, caramel, brown sugar, coconut all really complementing each other in perfect harmony. You will notice, in a good way, that the beer has 10% alcohol. Rich, nicely boozy, and just awesome!